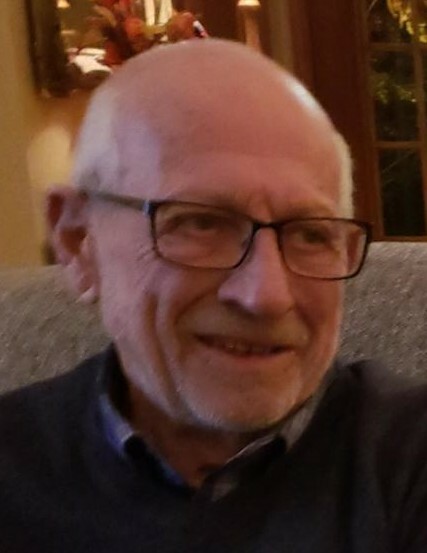 James O. Bernklau, 82, of Sturgeon Bay, fell asleep in the loving arms of his family and awoke in the arms of the Lord, Tuesday morning, January 29, 2019 at Aurora BayCare Medical Center in Green Bay. He was born November 22, 1936 in Milwaukee, the son of Orren Joseph Bernklau and Monette (Heinzen) Bernklau. Jim attended St. Sebastian School and graduated from Pius XI High School in 1955, both in Milwaukee. He was united in marriage to Anne Margaret Burt, whom he had know since high school, on October 18, 1957 at St. Jude the Apostle Catholic Church in Wauwatosa. They were blessed with over 61 years of marriage. He was a former parishioner of St. Jude the Apostle and Christ King, both in Wauwatosa, then St. Lukes in New Berlin. While in Door County, Jim occasionally attended St. Joseph Parish in Sturgeon Bay. He was a former member of the Knights of Columbus in West Allis. Jim had professional memberships in the Real Estate Examining Board in the Milwaukee area and the Wisconsin Realtors and National Realtors Associations. He was a former board member of the Door Property Owners Association, a former President of Cabot's Cove, and also served on the board for the Town of Nasewaupee. Jim was a proud stockholder of the Green Bay Packers. Huehns Funeral Home, Inc. & Door County Crematory LLC in Sturgeon Bay are assisting the Bernklau family. Expressions of sympathy, memories, and photos of James may be shared with his family through his tribute page at www.huehnsfuneralhome.com.